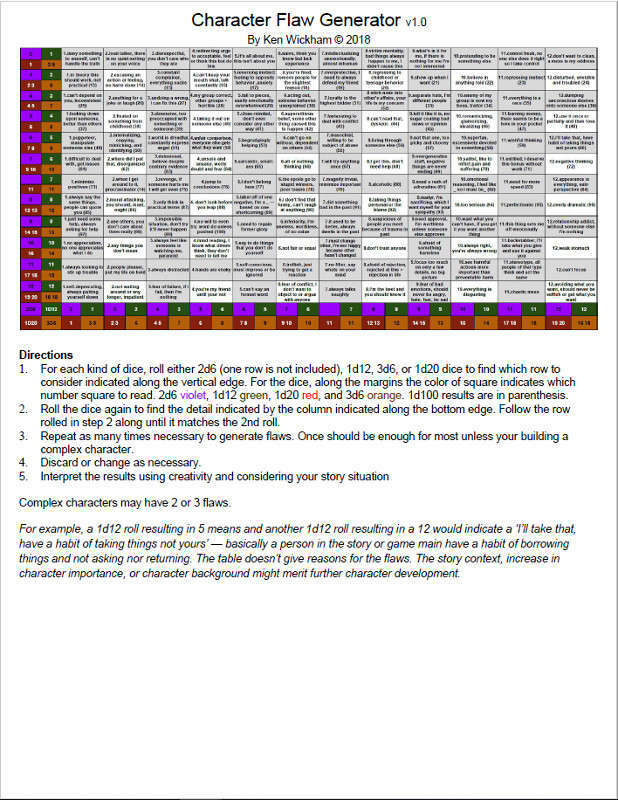 This is intended to be a paid upgrade to work with Character Generator vices most directly. This table shows flaws listed in no particular order. Some are serious and some are more humorous. This is a flexible flaw generator that is meant to aid or take the place of a Gamemaster (GM) for adding character flaws. It may also be used as a list of ideas. Included are a total 144+ character flaws in the entire table.